If any of you were following last year's Shabby Apple Dare to Design contest then you know the talented winner was Sarah of Welcome to the Good Life. Her dress design was unique, stylish and just amazing! I'm proud to say I voted for her. On top of being a fabulous up and coming designer she is starting a new line of stylish accessories and select garments sold in her new shop S.T. Collection. And today she's offering the chance to win one of her head-turning headbands to one lucky Grosgrain reader. Lovely for an evening out, a dinner party or a walk on a warm summer day. 4) By following me on Twitter. I follow your blog and follow you on twitter and would love to win one of these beautiful headbands! Thanks! I follow your blog and I'm SO glad I do! Yay... I follow Sarah's blog too! She has such a great style and her girls are soo cute. I follow your blog and twitter and LOVE IT! I follow your blog, and I follow you on twitter! And I love Welcome the the Good, she's so clever! i was just lurking her headbands the other day. they are gorgeous!! I'd love to win a headband! Here's my comment for entry to the contest. Oh wow, gorgeous! I love Ava! I love how beautfiul and girly they are. I would love one. These are the most beautiful headbands I have ever seen! What a great way to dress up the hair! These are adorable! I also follow your blog. I follow your blog! I love those headbands, they are gorgeous! I love them! Especially the first one with the roses. Oh!! They're beautiful!!! Thanks for the chance to win. How pretty, I especially like the bronze with the leafes. So delicate and pretty! I would love to wear one of these hair pretties! Those headbands are very pretty! They'd work with a lot of outfits, I'd think. I 'follow' you on twitter! I love Sarah's headbands and already follow her blog! (and yours of course :) ) Thanks for the chance! i love your blog and i follow it! i also follow sarah's blog and love all her headbands! I would love to try one of these on my new super short haircut! Beautiful headbands! I would love one! Those headbands are beautiful! I would love to try one. I follow this blog. These headbands are so pretty! I love Sarah's headbands (and blog!). Thanks for the chance to win one! So pretty!! 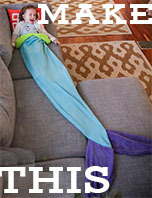 Makes me feel inspired to try making one myself! Lovely headbands! I love both of your blogs! I follow your blog! YA! And I also follow you on Twitter! Hehe! Just what I need to make my hair gorgeous! I am a follower of your blog and love it!! I have followed your blog for a while now and so much enjoy all of your posts. Keep up the good work! These headbands are so cute. I especially like the beaded ones. Beautiful headbands! thanks for a lovely giveaway. I am a follower! Wow! They're gorgeous! I follow your blog and you on Twitter! 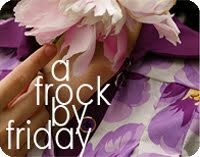 Oh, the purple one is just so pretty, feminine and a little glitzy. 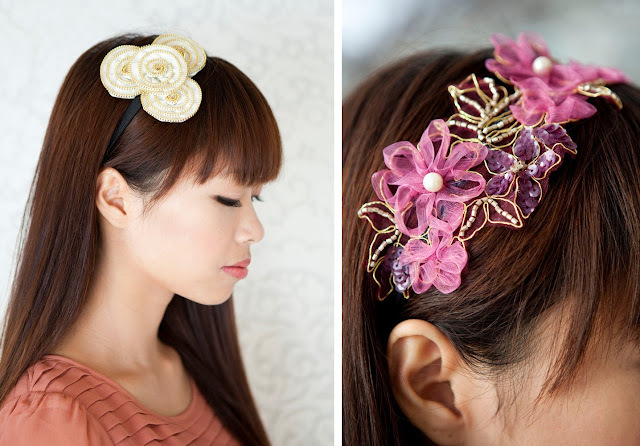 The zipper flower headbands are gorgeous! These are so cute! I'm constantly looking for cute headbands/ accessories everywhere I go! Those are so pretty! I've been looking for something different to do with my hair, and I'm loving your hair tutorials & inspiration photos. these headbands are beautiful! i love the leaf one!! Wow! Sarah is so darn creative! I adore her headbands! those headbands are so cute! Really like these!! Hope I win! I'd love to win the white-floral one. Followed closely by the coppery-brown, or black ones, they are sooo fab! So fabulous! Count me in! I totally follow your blog! I follow your blog already.. love it! I love the leaf headband! I follow your blog. Those headbands are so cute! I follow. 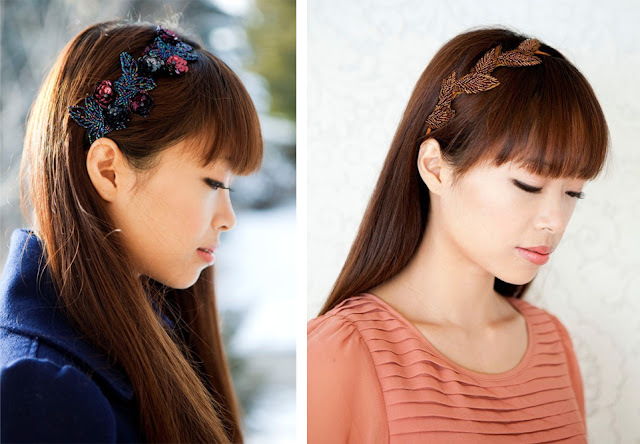 Those are some gorgeous headbands--who wouldn't want to wear them! Those are beautiful! I would love to win one. I love headbands! Thanks for the giveaway! I am following your blog! And I am coveting those headbands! I follow you and just love all those headbands! I follow you and am LOVING all your inspiration posts! Where in the world do you find so many unusually cool dresses?!!!!! They're so adorable! I loved Elizabeth -headband the most. Such a pretty giveaway, thank you! How lovely! I might have to look into some headbands. They could be perfect for my new career as a student. Oh my, what beautiful work! The beaded rose headband is great! I'm a follower! These headbands are gorgeous! I never win these. Make me believe again! I'm a follower & subscriber. I'm a follower who would love to win one of those fabulous headbands. I followed you on twitter. I too have entered so many contests but have yet to win... fingers crossed for this one. I think the brown leaves would be great in my curly brown hair. Ohhh I've been wanting one of these!!! I follow your blog! These headbands are stunning! I follow your blog through Google Reader (not sure if that counts), as well as following you on Twitter. I've been building a headband collection lately, because I can't be fussing with my hair in my face at work (infectious disease testing lab), so I'd love to add something a little fancier to the stash! I follow and think those headbands would even give a nice punch to simple jeans and white t.
Headbands are my fave accessory ♥!!! i love these! they are sooooo cute!! i follow your blog too! Gorgeous! I love your blog; you are full of inspiration! I became a follower... I was already doing it unofficially so why not? Those headbands are simply adorable!! Beautiful! I'd love to rock one of these! i'm a follower and i love the headband!! Love Love Love. Those are gorgeous. I follow your blog and just added you on twitter! I love these headbands... sooo cute :)!! Wow! Those are gorgeous headbands!! I follow your blog...of course! I love her stuff it is so pretty! I followed you on Google and on Twitter. Do you also have a facebook? I already follow on twitter and google. Your blog rules! Always has, always will. It is such wonderful inspiration to get me behind the sewing machine! One of these would be beautiful on my niece! I have been wanting a cute headband for a while now. 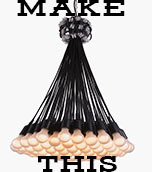 Haven't had time to make my own yet...so this would be pretty nice! I've been following your blog. These are adorable! Making A comment entry for giveaway. I've been offline for a week for my daughter's screen shut off challenge. Hope I make it in time to enter this giveaway. 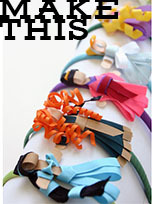 <I follow you on Google and love these headbands! I. Would. Wear. These. Headbands. All. The. Time. I followed her after her win! She is such a creative lady. I follow your blog and always look forward to reading it. These headbands (and the entire site actually) are wonderful! Those are amazing. I think my favorite is the beaded floralish one. i absolutely love headbands. perfect fit for me!